I would say that It's the best place to go to. It's about the car and service. It's an amazing place. I stumbled upon them and they never disappointed. I have been going there the last 7 years. I always go there and I get what I need. They offer great customer service. My car always comes back nice and clean. They do what they are supposed to do, even when I get a service check, they clean my car. My experience has been very honest and they make recommendations and repairs that need to be repaired. They make sure they check in before they do any work. They treat you like you're part of their family. It makes you want to go there. Very efficient, and they know what they're doing. They go straight to the point. They didn't try to sell me anything I didn't need. 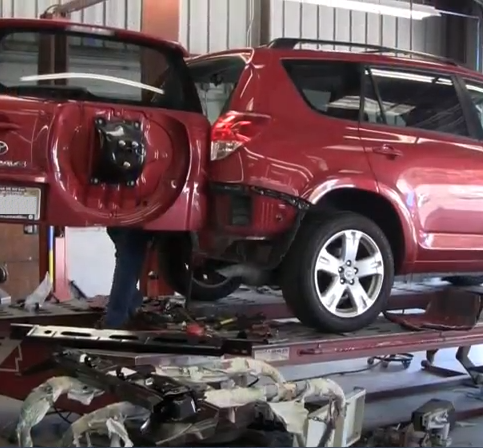 Silicon Valley Auto Body & Tow restores vehicles of all makes and models to their pre-collision conditions. 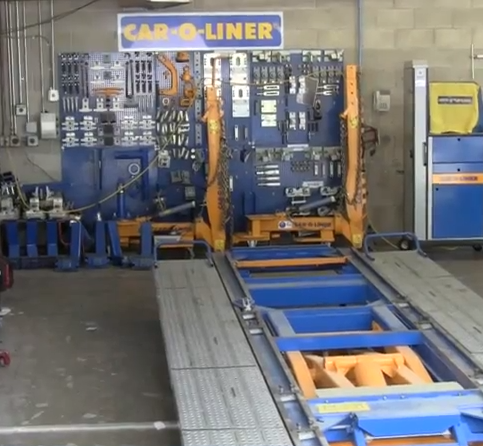 Established in 1984, the Sunnyvale shop uses state-of-the-art technology—the computerized measuring systems Car-O-Liner and Car-O-Tronic, and the laser measuring system Velocity—to accurately align vehicles. Owner Pete Hurwicz’s auto industry career spans almost four decades, including stints as president on both the local and state board of the California Autobody Association. Mr. Hurwicz prides himself on heading a team of professionals that provides quality repairs at a fair, honest price. Silicon Valley Auto Body & Tow also specializes in paint matching. It uses the highly regarded Sikkens paint system and constantly upgrades its technology and equipment to ensure each vehicle’s finish matches. Also, the environmentally-friendly shop is approved by all major insurance companies. To add to its list of convenient services, Silicon Valley Auto Body & Tow provides 24-hour towing services for automobiles, motorcycles, boats and trailers. 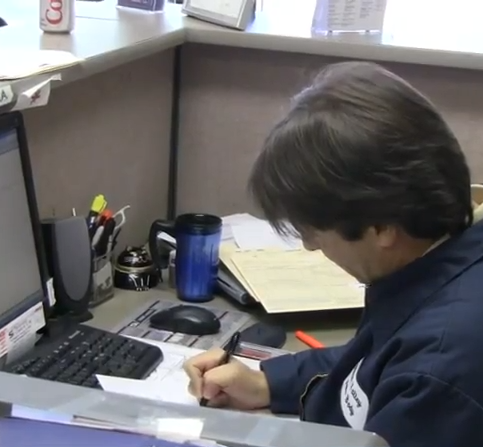 Mr. Hurwicz says his towers are courteous, professional drivers with clean DMV records. They can help with lockouts, tire changes, battery service and other emergencies. Silicon Valley Auto Body & Tow is qualified to handle all types of auto collision work. "We do business by being honest and straightforward, and we always deliver what we promise. Much of our success has to do with the way we communicate with our customers. We set realistic expectations for their repairs and follow through, so they know they're getting state-of-the-art repairs at competitive prices from people who know and care about what they're doing." 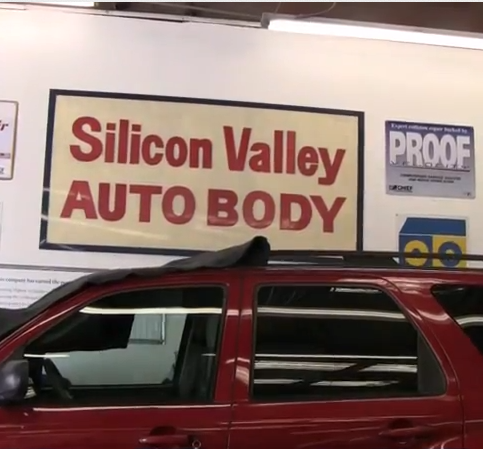 Silicon Valley Auto Body & Tow is a Sunnyvale-based body repair shop that combines advanced technology with an honest, straightforward approach to customer service. Every vehicle that comes through its doors is repaired to factory specifications with state-of-the-art collision repair systems. The company’s technicians–all of whom have at least 10 years in the industry–use only the finest equipment, parts and materials, says owner Pete Hurwicz. Paint is a vital component of a body repair job, so Silicon Valley Auto Body & Tow uses Sikkens, a European paint line that yields a more precise color match than other leading brands, according to Mr. Hurwicz. He’s been using Sikkens for more than 20 years and remains convinced of its superior performance. After being painted and applied with a clear coat, vehicles go through a baking process that adds durability and a long-lasting high gloss. The paint is then inspected and buffed to meet the company’s high standards. Silicon Valley Auto Body & Tow uses Easy Liner frame systems capable of multiple pulls, making it possible to return vehicles to their original factory specifications. It also offers 24-hour towing services for automobiles, motorcycles, boats, and trailers. Other benefits include a key drop for early morning and late evening drop-off, free pick-up and delivery, free estimates, and a written lifetime warranty on all repairs. A direct repair hop can help make your vehicle repair a seamless event. 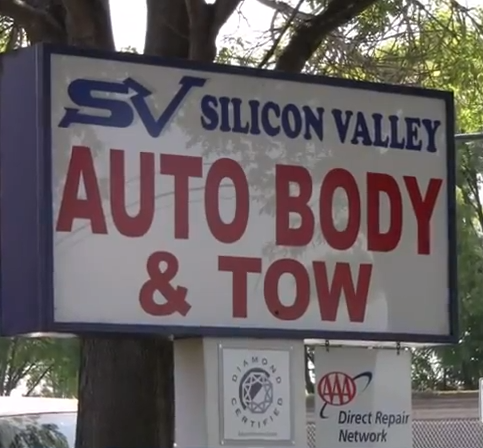 If you’ve been in an accident or need car repair, a direct repair shop will work directly with your insurance company as a “preferred shop,” says Pete Hurwicz, owner of Silicon Valley Auto Body & Tow in Sunnyvale. Auto repair and body shops earn the preferred shop status by meeting certain requirements, which include having certified technicians, using the proper equipment and, most important, having a record of satisfied customers. 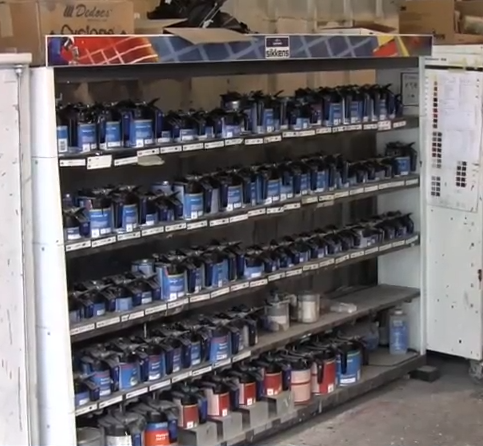 When customers use a preferred shop, the repair process is streamlined. A preferred shop will write estimates, orders parts and repair vehicles without the hassle of having to wait for an insurance adjuster. Insurance companies constantly monitor their preferred shops to ensure quality repairs, so you can choose a preferred shop with confidence. Another distinction: a shop that belongs to the California Autobody Association (CAA). Mr. Hurwicz warns against repair shops that promise huge savings and promise to cover the deductible required under your insurance policy. In such cases, the shop will find some other way to protect its profit—almost certainly at your expense. “They’ll probably do less work than what’s necessary,” he says. When it’s time to pick up your car, study it carefully. Test every button, switch and lock to make sure it works—even the stereo. Make sure the doors, hood and trunk open and close smoothly. If possible, examine the paint in bright sunlight to make sure the color matches. If there are problems, address them while the car is still in the shop. Q: What’s a direct repair shop? A: A direct repair shop works directly with insurance companies as a ‘preferred shop.’ Body shops earn the right to be in preferred shop programs by meeting certain requirements. These include having certified technicians, using the proper equipment and, most important, having a record of satisfied customers. 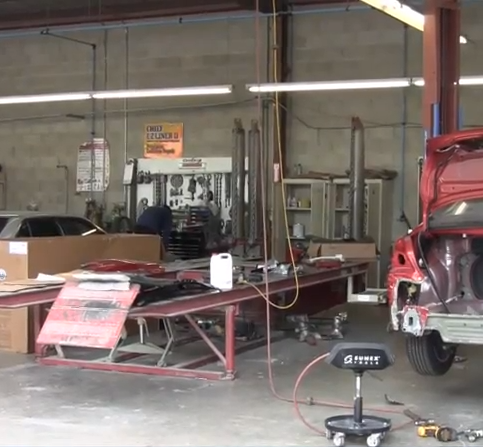 When customers use a preferred shop, the repair process is streamlined. A preferred shop actually writes estimates, orders parts and repairs vehicles without having to wait for an insurance adjuster. Insurance companies constantly monitor their preferred shops to ensure quality repairs. Q: Will the parts be ordered before I drop off my vehicle for repair? A: Absolutely. We generally order your vehicle’s parts at the time we write the estimate, with your vehicle drop-off scheduled for a couple days later. This enables us to provide quicker turnaround time. Q: If my vehicle’s frame is damaged, is it a total loss? A: Probably not. A car is a total loss only when the price of repairs exceeds the insurance company’s threshold amount. Today, most cars are built using unibody (frame and body as one) construction. We can return vehicles to their original factory specifications. If it’s determined that the frame section is bent beyond repair, it can simply be replaced. Q: Can you match paint color? A: Today’s modern factory finishes incorporate multiple layers of highly specialized paints. We’ve made a major investment in Sikkens, the finest paint system available, and constantly upgrade its technology and equipment to ensure perfect paint matches. We take special pride in our ability to match factory finishes as the final step in the restoration process. Q: Can I get other service work done on my vehicle while it’s in your shop? A: Yes. Just let your advisor know what other work you’d like done so they can make the necessary arrangements. Q: Can I get a ride home when I drop off my car? A: Yes, we’re happy to provide this service for our customers. We want each customer’s visit to be a positive experience and will work diligently toward that goal. Q: How can I get a rental car? A: We can help you make the necessary arrangements. Insurance companies will only pay for a rental car if you have that option on your policy. Check your policy and call your insurance company to find out if you have rental coverage and what your specific limitations are. Silicon Valley Auto Body & Tow has modern equipment for frame straightening. Silicon Valley Auto Body & Tow uses top quality paints to match each car’s color. A Silicon Valley Auto Body & Tow technician prepares to work on a customer’s vehicle. 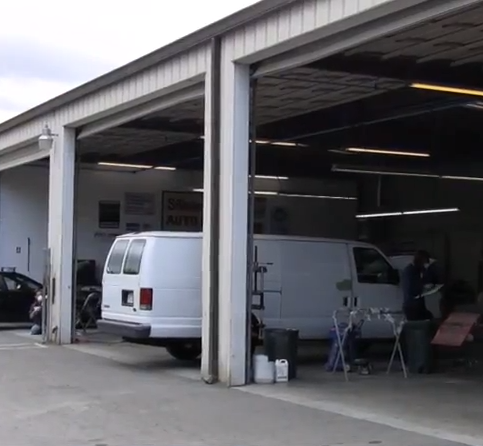 Silicon Valley Auto Body & Tow works with its customers’ insurance companies to fix their cars correctly. Pete Hurwicz is owner of Silicon Valley Auto Body & Tow, a Diamond Certified company since 2009. He can be reached at (408) 747-0500 or by email. Outside of work, Pete enjoys a variety of hobbies, from riding his Harley-Davidson to attending sporting events. “I’m a season ticket holder for the San Francisco Giants and the San Jose Sharks, and I recently became a 49ers season ticket holder as well, so you might say I’m somewhat of a sports fan,” he laughs. In addition to his active interests, Pete enjoys simple things like working in his yard and hanging out with his French Bulldog, Louie. Q: What’s the best movie of all time? A: I was a wrestler. A: When I was in high school, I saw Jimi Hendrix play at The Forum in Los Angeles. Auto Insurance Claims: To File or Not to File? SUNNYVALE — Following a car accident, vehicle owners often fear that their insurance rates will go up if they file a claim. While this may or may not be the case for your accident, there are several factors to consider when deciding whether or not to file. The first thing you should do is review your insurance policy. If you know that your first accident is forgiven or a previously filed claim won’t count against you after a certain number of years, you’ll be able to make a more informed decision. Another important factor to consider is who was found at fault for the accident. If you’re not at fault, filing a claim isn’t likely to result in a rate increase. On the other hand, if you are at fault, your insurer is already paying for someone else’s car, so you’ll need to decide if you want to file an additional claim for your own vehicle. In general, the key to maintaining low insurance rates is to minimize the number of claims you file, which is why the decision of whether to file a claim should be weighed in accordance with the financial ramifications for you. If the damage to your vehicle is less than your deductible, it might be a good idea to pay for the repair out of pocket, whereas if your car is “totaled,” it’ll likely be more cost-effective to file a claim. Other contributing factors include the severity of the accident and your longevity with your insurance company. In addition, before deciding whether to file a claim, consider discussing it with your insurance representative. 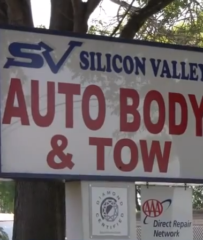 Silicon Valley Auto Body & Tow : Average 9.4 out of 10 based on 237 unique customer surveys of customer satisfaction. They did a good job on our car, they were very friendly. They did the work quickly, fast enough I didn't have to pay out of pocket for extra rental days. They were quick and efficient with everything. All I really had to do was tow the car there and pick it up. It looks great as well. I thought the front office gal was really professional, she knew her stuff, which made the whole process a lot quicker. They have a really professional shop with a nice office style attached, the work they did was top notch. The front office woman, I wish I remembered her name. The work they did was really good, you can't even tell the car was in an accident. They were quick and dealt with all the insurance contacts. They did good work, the paint is perfectly matched. I really didn't have to deal with insurance much, just dropped off the car, they took care of everything. I would recommend them to people, they were a preferred shop through my insurance, and the work they did was good. They dealt with all the insurance stuff, which made the whole situation so much easier. They did a good job on the repair. They came recommended by my insurance company for the minor repairs, they did a great job quickly. They were quick and the work was good. I would recommend them, they have a really nice shop, their employees are really friendly, and the front office is really helpful. They gave me updates on the progress of the work, they were really professional. They actually appreciated that I brought my car to them and treated me as a valued customer. They were very professional. I literally dropped off my car, gave them my adjuster's information, and picked the car up when they were finished with it. The car looks as good as new. The repairs they did are perfect, you would never know it was in an accident. Go use them, they will tow you to the shop, and get things set up. They got the car drivable quickly. The work they did was immaculate. I would recommend them to people, they are a preferred shop through AAA, so they are doing something right, they did quality work in what had to be record-breaking speed. They are a great shop. They were quick, seriously quick, and the work looks amazing. They were good, they were the closest recommended shop that was able to tow the car as well, they made me feel at ease that the car would be repairable, and the work they did is amazing, the car is like new. The car looks better than it did before the accident. I would recommend them, they are very professional, and do great body work. They helped a lot with the insurance side of things. I had never been in an accident before. I liked working with them, they are professional, they have a good foresight on all the different things that they need to do during the week. They have good relationships with the insurance adjuster we worked with, so that made it easier. They are just a great shop. They did good work and were very professional. They were very professional, made sure all the insurance paperwork and DMV stuff was finished up, they were good. I think it was the fact that they were willing to be the in-between person that dealt with all the insurance, it was a relief not to have to deal with insurance.